The press in the UK get rather a bad, well, press. According to Hugh Grant and others the media has rather a lot to answer for, whether it’s phone hacking or misreporting and celebrity hyperbole, yet it was with a degree of pride that I picked up my “Press Pass” at the start of the London Trauma Conference. We’ve managed to not only secure entry, but also access to record interviews with some of the incredible line up of trauma luminaries for future StE’s podcasts and Nat and I have spent the day feverishly recording their post match thoughts, immediately after they have finishing their talks to an expectant and not inconsiderable crowd. The day kicked off with the legend that is Vascular and Trauma Surgeon Karim Brohi talking about the tragically pertinent arterial dissection in trauma. 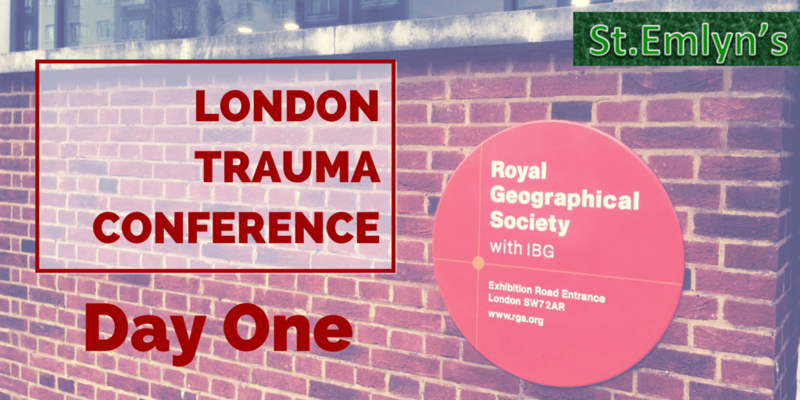 So it’s somewhat wearily that we leave the glorious surroundings of the Royal Geographical Society in head out into the brights lights of Christmassy Kensington in search of a reasonably priced beverage, looking forward to another day tomorrow of fabulous trauma education and learning. Great stuff as usual guys. Looking forward to a day of motorsport trauma talks on the 10th ….. yes, I am biased. Thanks very much for the hard work guys – much appreciated by those of us not there. I was interested to hear your surprise about Chris Moran’s view on rehab as a more worthy area for investment than PHEM….but that said you’ve hit the nail on the head: it’s all to do with erroneously equating excitement with value!